Since two-dimensional boron sheet (borophene) synthesized on Ag substrates in 2015, research on borophene has grown fast in the fields of condensed matter physics, chemistry, material science, and nanotechnology. Due to the unique physical and chemical properties, borophene has various potential applications. In this review, we summarize the progress on borophene with a particular emphasis on the recent advances. First, we introduce the phases of borophene by experimental synthesis and theoretical predictions. Then, the physical and chemical properties, such as mechanical, thermal, electronic, optical and superconducting properties are summarized. 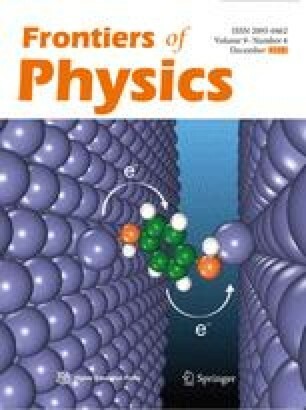 We also discuss in detail the utilization of the borophene for wide ranges of potential application among the alkali metal ion batteries, Li-S batteries, hydrogen storage, supercapacitor, sensor and catalytic in hydrogen evolution, oxygen reduction, oxygen evolution, and CO2 electroreduction reaction. Finally, the challenges and outlooks in this promising field are featured on the basis of its current development. This work was supported by the Fundamental Research Funds for Central Universities (Grant No. 20720160020), Special Program for Applied Research on Super Computation of the NSFC-Guangdong Joint Fund (the second phase) under Grant No. U1501501, the National Natural Science Foundation of China (Grant Nos. 11335006 and 51661135011). This work was also supported by China Scholarship Council (CSC NO. 201706310088).